RA Power Solutions has experience of over three decades in onsite grinding and repair of Rotor Shaft, Alternator shaft & Turbine Shaft. Supply of matching bearings reduces downtime and is single point responsibility of RA Power solution to put back the Turbines in operation. 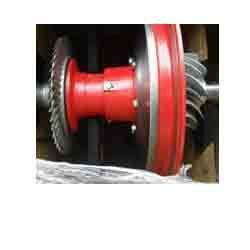 On site Polishing of Rotor Shaft is undertaken to remove the high points and bearing marks. 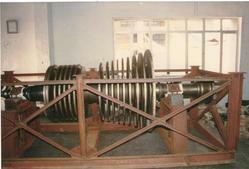 We hold an expertise in providing Inspection of Rotor Shaft. 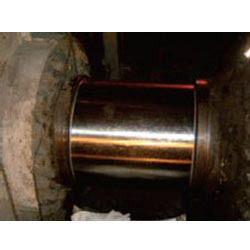 Rotor Shaft Grinding services offered involves offering quality support for grinding of rotor shafts through utilization of latest process mechanism including using pneumatic compressed air to achieve finer end results. We also have with us modern facility support coming with option of hardness check, crack detection, truness checking of shaft white metalizing/re-babbiting of bearing which allows us in achieving finer end results. Turbocharger of all makes like ABB, GE for high capacity diesel engine are available in stock. Turbochargers are fully reconditioned. In most of the cases bearing and consumable parts are replaced by new parts. Reconditioned turbo chargers sold by RA Power Solutions are guaranteed for performance and are priced low.